Hardly any other type of carpet is as well known as Iran's hand-knotted Persian carpets. Among them, however, some stand out particularly due to their outstanding quality. One of these are from the Isfahan region. An architectonically impressive city whose carpets are as radiant as the buildings. 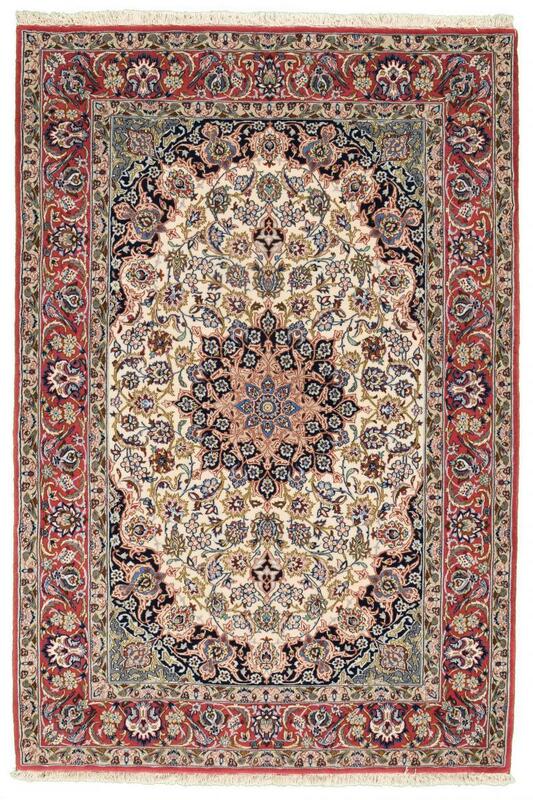 Inspired by the city itself, carpets are knotted in factories with the finest patterns and ornaments. Hardly any other city has such a high density of experienced knotters who produce some of the finest hand-knotted carpets in the world. With a knotting density of 650,000 knots per square metre upwards, Isfahan carpets are of very fine quality and are therefore among the most sophisticated of all. 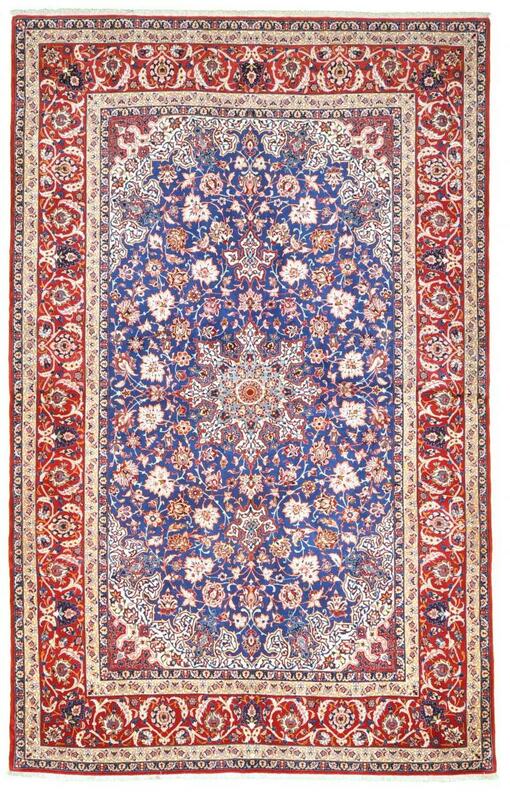 There are world-famous knotters of Persian carpets from Isfahan. Some of them are for example Seifarian, Entescharf or Davari. The number of carpet manufacturers is also extremely high. The city's shopping miles are lined with carpet dealers, who are frequented not only by tourists but also by locals. But one thing is clear: If you want to feel a real Isfahan under your feet, you have to dig a little deeper into your pocket. However, the buyer receives a piece that is extremely difficult to produce in terms of craftsmanship. Such a carpet gives joy through its fine haptics, high attention to detail and the most sophisticated quality. 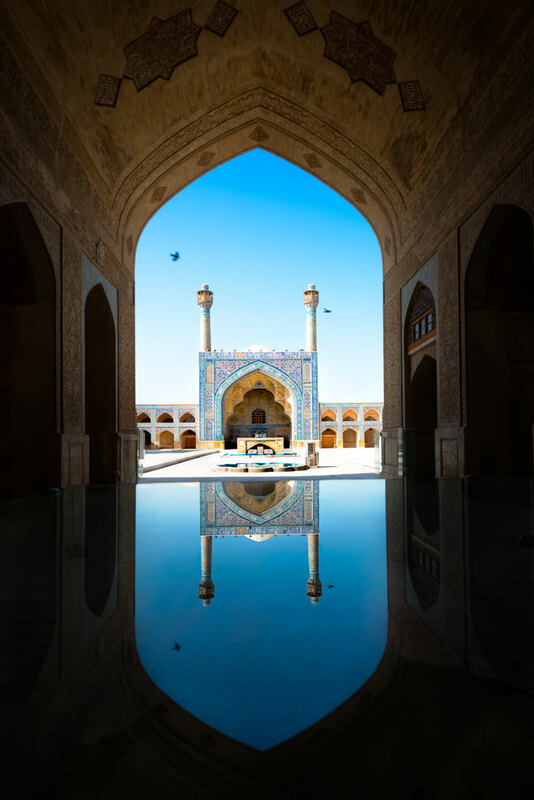 Isfahan, the former capital of Persia, is always worth a visit. 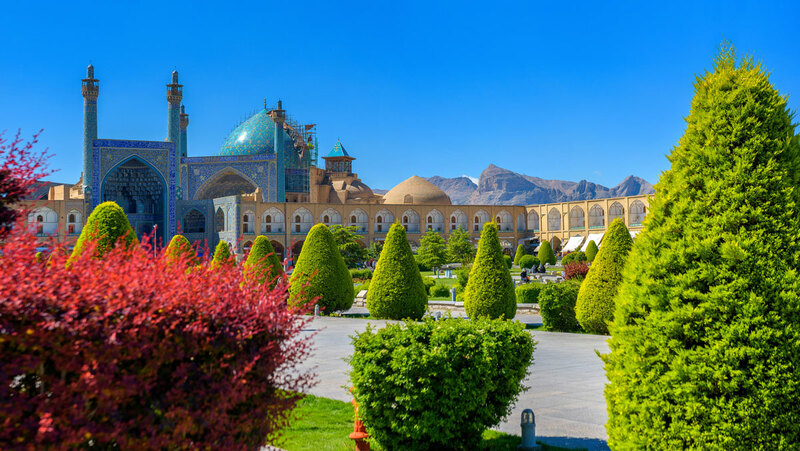 It was or is the greatest beauty of the country with its many mosques, such as the famous Emam Mosque and the various palaces. In this context, the Persian saying that Isfahan is half the world can be understood. These rugs have been provided from an assortment of over 390 Isfahan rugs by Nain Trading from Hamburg. Hamburg, Germany is still the most important hub for the trade of oriental rugs in the Western World with Nain Trading offering one of the largest assortments of handmade oriental carpets worldwide. Location - where do I find Isfahan? The city is located in central Iran and it is one of the largest cities in Iran.